Universal Health Services, a company with 21 psychiatric facilities under federal investigation for potential billing fraud, announced the closure of its National Deaf Academy (NDA) Behavioral Health System in Mt. Dora, Florida. NBC News reported the NDA is closing after being “hit with abuse allegations,” with many of these investigated and reported by NBC and other organizations. At least 10 patients at NDA had complained about abuse, three families filed lawsuits and the FBI was also investigating, NBC reported. The NDA CEO Greg Sizemore said when the remaining 34 patients are discharged from the 120–bed residential facility, NDA will be “temporarily closing.” However, Citizens Commission on Human Rights International (CCHR), which has investigated NDA and dozens of other UHS behavioral facilities around the country, say the government needs to ensure that the property never reopens as a psychiatric or behavioral center. NDA is one of five Florida UHS behavioral centers that is under investigation by the Federal Department of Justice and the Office of the Inspector General. In March 2015, UHS’s headquarters in Pennsylvania was also added to the investigation. The other Florida facilities are Central Florida Behavioral Hospital, River Point Behavioral Health, Wekiva Springs Center and University Behavioral Center. 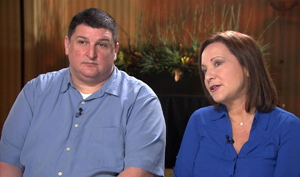 National Deaf Academy whistleblowers Kyle Gilrain and Carol Savage, say they personally saw bruising, black eyes and chokeholds at the facility in 2012, but they felt pressure from the former CEO to cover it up. NBC reported that two former NDA employees said that they personally saw bruising, black eyes and chokeholds at the facility in 2012, but they felt pressure from the facility to cover it up. CCHR has filed complaints against NDA based on whistleblower allegations, resulting in the Florida Agency for Healthcare Administration (ACHA) inspecting and citing the facility for inadequacies in January 2013. 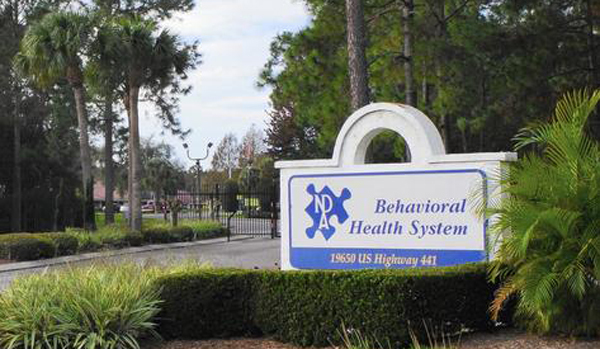 In November 2015, CCHR’s chapter in Florida also filed complaints with legislative agencies citing the need for greater oversight of UHS psychiatric facilities: “Patient suicides, restraint deaths, falsifying records” and patients “sexually assaulted are just some of the abuses in UHS behavioral facilities that state authorities or the Centers for Medicare and Medicaid Services (CMS) have investigated,” CCHR Florida president, Diane Stein wrote. On January 13, CBS 13 News reported that UHS had withdrawn plans to build a 102-bed psychiatric facility in Rocklin, California. Local residents objected to the plan and CCHR also filed complaints to local officials questioning how UHS could open a psychiatric center while under Federal investigation. Media reported on January 11, 2016, that investigators from the Massachusetts Department of Mental Health found UHS’s Pembroke Hospital contributed to the death of a woman in her 20s within three days of being admitted to the psychiatric facility in August 2015. While the coroner found the girl died of natural causes, investigators determined that Pembroke Hospital staff violated their own policy when they left the woman alone in her room after finding her unresponsive and calling a ‘code blue’ medical emergency. By the time hospital staff took any action, the patient already “showed obvious signs of death,” according to the state reports. In 2007, the state had issued a scathing report about patient mistreatment at Pembroke Hospital, following a seven-month investigation into complaints from both staff and patients. Christine Griffin, the executive director of the Disability Law Center of Massachusetts, called for tougher consequences for hospitals that endanger or mistreat patients. CCHR agrees, saying that the culture of abuse found in UHS behavioral centers requires criminal penalties, funding cuts and closures where the abuse is systemic. In 2013, an employee at the Milton Girls Juvenile Residential Facility, Florida, was sentenced to jail after being caught on camera slamming a young girl at the facility into a wall. In 2013, Lennox Seepersad, a mental health technician with The Vines Hospital in Florida was charged with felony abuse of a 13-year-old resident he twisted the arm of causing a spiral fracture. In April 2014, Ernest Parker, a former mental health technician at the Milton Girls Juvenile Residential Facility in Florida was sentenced to 25 years in prison for three counts of sexual misconduct with residents. Milton Girls Juvenile Residential Facility in Florida closed in 2012 following incidents of staffers being criminally charged with abusing teens. “We’re glad that UHS is responsibly closing its NDA facility in Florida. It should recognize that psychiatric treatment is bad business and close its behavioral sector to prevent more patients being put at risk. In lieu of this, tougher fines, funding cuts and criminal penalties should be leveled at any for-profit psychiatric facility that continues to abuse patients,” Jan Eastgate, president of CCHR International said. “Feds widen fraud probe of Universal Health Services to include headquarters,” Healthcare Finance, 1 Apr. 2015, http://www.healthcarefinancenews.com/news/feds-widen-fraud-probe-universal-health-services-include-headquarters. Chris Burrel, “State report criticizes Pembroke Hospital,” Wicked Local news, 11 Jan 2016, http://duxbury.wickedlocal.com/news/20160111/state-report-criticizes-pembroke-hospital. Kaitlyn Ross, “Local family says they lived health care nightmare,” First Coast News, 2 May 2013, http://www.firstcoastnews.com/story/news/local/2014/01/17/4600179/. Statement of Deficiencies and Plan of Correction, Florida Agency for Health Care Administration, The Vines, 20 Feb 2013; April Warren, “The Vines Hospital faces challenges,” OcalaStarBanner, 31 Jan 2015, http://www.ocala.com/article/20150131/ARTICLES/150139951?template=printpicart.